When the United States Olympic hockey team glided onto the ice to face the Soviet Union in Lake Placid, New York, on Feb. 22, 1980, Cold War tensions had reached a boiling point. A year earlier, the Soviets had invaded Afghanistan, rekindling simmering tensions between the two superpowers. The winner would advance to the finals to play for the gold medal, but there was far more at stake in upstate New York in 1980 than mere Olympic glory. The game came to take on a great deal of symbolic importance. It was Communism versus Democracy. Centralized Control versus Free Markets. East versus West. Before the match, things looked bleak for Team USA. Having lost to the Soviets 10-3 in a previous exhibition, the Americans were given zero chance of winning by the media and hockey pundits. The Soviets were the most dominant team in the history of Olympic sports. With a win-loss record of 62-6, they arrived at Lake Placid having won four straight Olympic gold medals. The odds makers had them easily skating their way to a fifth. They practiced 11 months of the year and played with a remarkable unity of effort. The Americans were amateur college athletes, cobbled together by a combination of opportunity and circumstance. Luckily, Team USA felt that this time they had an advantage. Their coach was an inspiring leader named Herb Brooks. A two-time Olympian himself, he was considered a “driven perfectionist” by his players. According to one of his players, “he treated us all the same, rotten.” Some hated him; some loved him. But this much was undeniable: everyone on Brooks’ team respected him. Still, hope for Olympic glory seemed beyond their grasp. "Great moments are born from great opportunity"
Fifteen minutes before the big game, Brooks walked into the locker room and came face to face with a team that looked as if it had conceded victory. Yet, he had a keen sense of situational awareness — an ability to take the pulse of his players by reading nonverbal cues. His players looked defeated, nothing more than a collection of slumped shoulders and vacant stares. Knowing he had to capture their attention, he then did what great communicators do: He gave his team a call to action: win this game. But he did it in a way that relied more on emotion than reason. You can watch Brooks’ speech depicted brilliantly by Kurt Russell in the movie Miracle. Great moments are born from great opportunity. And that’s what you have here tonight, boys. That’s what you’ve earned here tonight. One game. If we played them 10 times, they might win nine. But not this game; not tonight. Tonight, we skate with them. Tonight we stay with them, and we shut them down because we can. You were born to be hockey players — every one of you, and you were meant to be here tonight. This is your time. Their time is done. It’s over. I’m sick and tired of hearing about what a great hockey team the Soviets have. Screw ‘em. This is your time. Now go out there and take it!" That’s all he needed — just those 124 words delivered with passion and intensity. In that moment, Herb Brooks gave birth to a locker room full of believers. When you watch the scene, you’ll notice a few important techniques all communicators should remember when making an emotional appeal. When Brooks walks into the locker room, he waits 15 seconds before he says a word. He uses that silence to create dramatic effect to ensure he has their attention. He ends with a call to action and emotional appeal that strikes a nerve with his team, which goes out and does exactly what he wants them to do — win that game. If Brooks had appealed to his team’s sense of logic, perhaps the game would have been over before it even began. Instead, he highlighted the opposite side of the same coin. He used emotion to move his team, which is one of the most important techniques that any communicator in any field should learn to make their own. 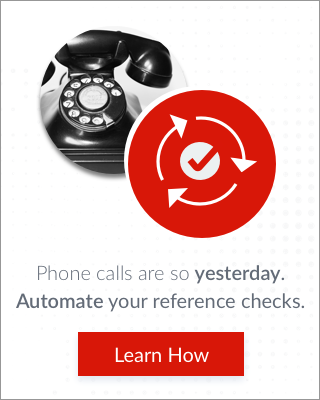 Want to move an audience to your cause? Or change their minds about a given topic? Or convince them to get out of their seats and buy something they swore they never would? 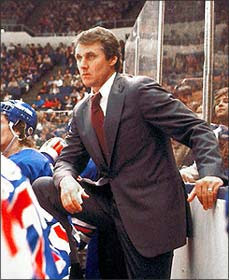 Then do what Herb Brooks did: Appeal to your audience’s base emotions, and you’ll be able to move mountains. Excerpted with permission from A Climb to the Top: Communication & Leadership Tactics to Take Your Career to New Heights Copyright Advantage, 2016, by Chuck Garcia.